In this series, Education Specialist for Public Programs Emily Bray highlights participants in the 2016 James McLaughlin Memorial Staff Show, on view through September 19, 2016. 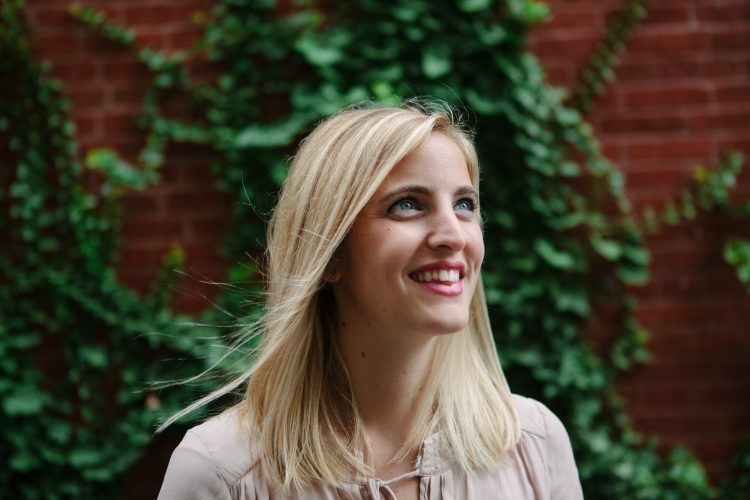 I am an Education Coordinator; I get to book all of the tours! The Rothko Room and the Music Room. What would you like people to know about your artwork on view in the 2016 Staff Show (or your work in general)? The performance work I submitted is the act of me destroying a sculpture, made by my ex-boyfriend and owned by my roommate. I had exhibited the sculpture in a show I curated and it was purchased by my roommate and left in our garage. 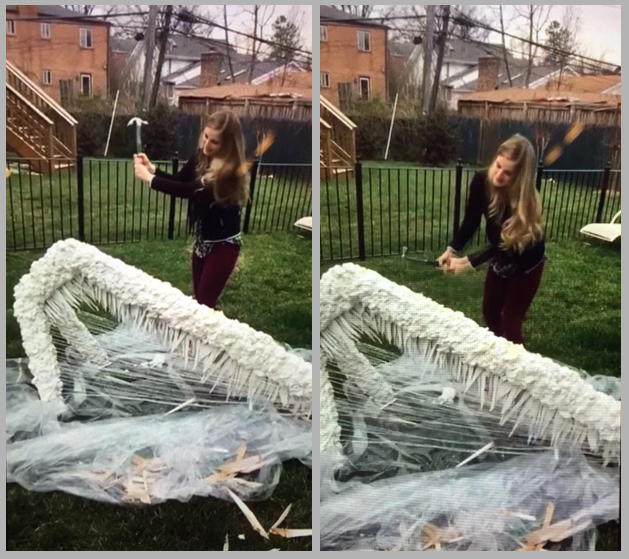 The video is an act of raw catharsis directly following the breakup between me and the sculpture’s creator. There was no plan or thought process, just pure emotion. Splicing together the videos of this experience and layering with music has been a continued process of letting go. The 2016 James McLaughlin Memorial Staff Show is on view August 14 through September 19, 2016. Hear from Phillips Curator Klaus Ottmann how contemporary artist Carol Brown Goldberg’s work echos that of Henri Matisse’s Interior with Egyptian Curtain in the One-on-One installation currently on view. 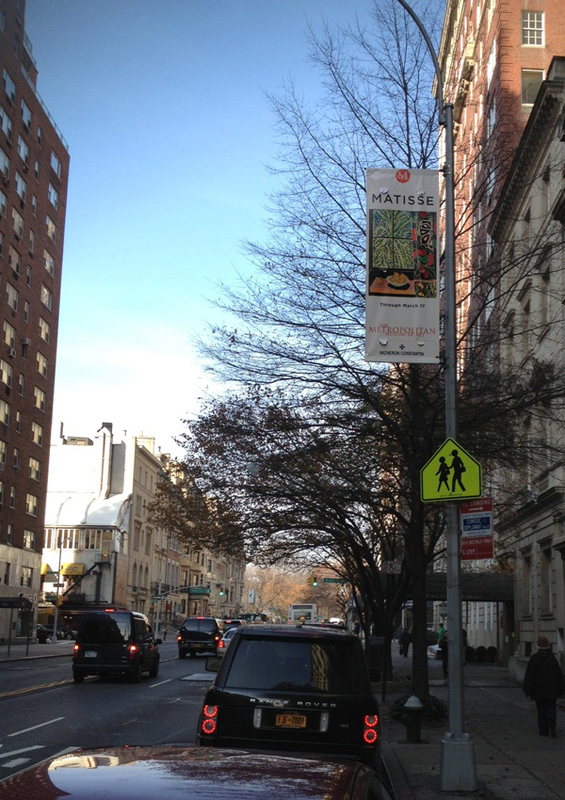 In New York to retrieve the Phillips’s Wayne Thiebauld painting, Five Rows of Sunglasses (2000), from its run in Acquavella Galleries’ retrospective, Associate Registrar Trish Waters spotted another of our beloved works on a lamppost banner above East 79th Street. The Metropolitan Museum of Art is using the Phillips’s Interior with Egyptian Curtain (1948), to announce their exhibition Matisse: In Search of True Painting, opening today.